Curious to see how you guys and gals game on. (no creep yo.) Here’s mine! I shall post mine as soon as I get home. Mines a mess. Let me clean it, then you have my permission to di- I mean, see. Alright, after much annoying hassle I finally got my picture from my toaster-phone onto my pc. 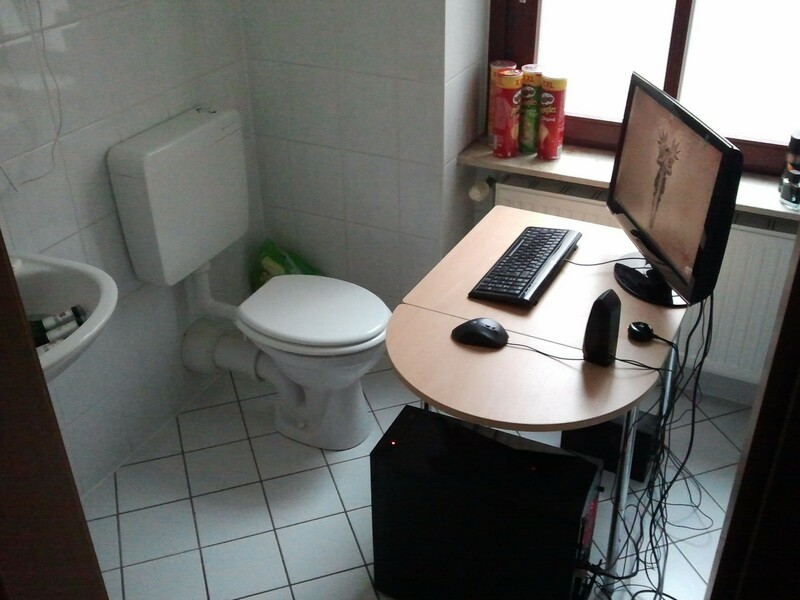 So here is my make-shift battlestation xD It aint much, but it’s somethin’. Hang on I’ll get my terribad gaming station up…Eventually. Hang on a minute, I dont even play monster! Backlit keyboard and 7 button mouse with macro…if that counts ? !